All famous winegrowing regions of the world derive their identity from one or only a few very specific grape varieties. For example, Pinot noir in Burgundy, Nebbiolo in Barolo, Riesling in the Rheingau or Silvaner in Franconia. At the northern limits of production areas, wine is often restricted to favourable microclimates on sunny slopes along rivers. However, the range of varieties available enables cultivation in a wide range of climates and soils. Permeable soils are important, and the soil’s mineral content and composition influences the taste of the wine. Grape is a labour-intensive crop. Juvenile plants are fertilized different than adult plants. It has an optimal pH 5.5-6.0. The process from growing grapes to making wine is a laborious one, especially on steep slopes. Work begins in January to March, with pruning. Old growth from the previous year is removed and the branches to contain fruit are selected and supported. The number and length of the fruit rods have a decisive influence on the yield and also on the quality of the wine. From February to April repair work on the wire frames takes place. The vines are tied to them, thus achieving a uniform distribution and stable shape of the shoots. By August, side shoots are removed and the upper growth is attached to the wire frame. Soil loosening and cover crops stimulate soil biology. Protective measures against pests and fungal diseases are carried out during the growth period. The start of the harvest depends on the grape variety, the location, and the weather. The harvest starts in September and can last until the end of November. Fertilization of permanent crops, such as grapes, differs significantly from an annual crop. Especially on steep slopes, cover crops are planted to provide protection from erosion and to make access easier. The cover crops influence the humus content and soil life, which is important for nutrient supply. 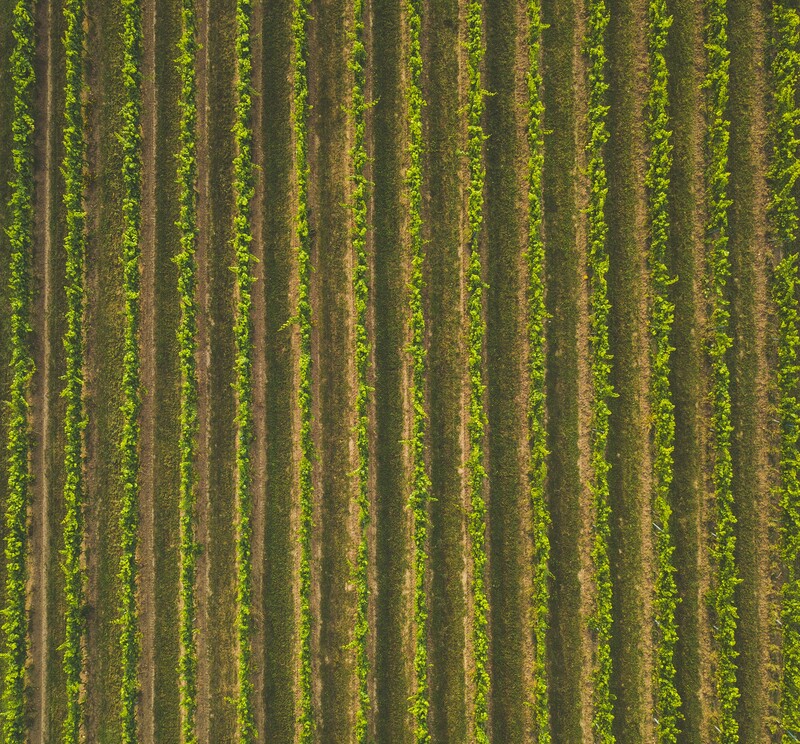 The composition of plant species in this green strip plays an essential role as it can lead to significant competition for water and nutrients. The quantity of nutrients fertilized is based on the amount of nutrients extracted. The table shows uptake and removal per hectolitre (hl) of grape yield. According to this, vines mainly nitrogen and potash. For example, a grape yield of 70hl/ha takes up 98kg N/ha. If 70kg N/ha is supplied by the soil, then 28kg N/ha would need to be fertilized. The harvest would remove 42kg N/ha. Nitrogen (N) occupies a central position in the metabolism of the vine. Nitrogen in viticulture has a significant influence on growth, fruit setting and yield. Most nitrogen in soil is contained in the soil organic matter. Only a small proportion is released, mineralized and made available to the plants by soil microorganisms. This can result in a delivery of approximately 50-150kg N/ha/year. In good soil conditions, none or only a small amount of nitrogen fertilization is required in the first years of development. The cover crops must be supplied with nitrogen, especially in poor soil conditions, in order to prevent competition with the vines. The quantities range between 0 and 30 kg N/ha/year, depending on the soil conditions. Foliar fertilization offers possible nutrient supplementation for the juvenile plants. This is especially effective in periods of drought. The nitrogen requirement of yielding plants depends on the soil organic matter content, the yield expectation, the variety, tillage, and water supply. P and K fertilization in autumn before tillage is useful. Fertilizers containing chlorides should only be used in autumn. Juvenile plants and rootstocks must be fertilized without chloride. Boron deficiency occurs especially in dry years on sandy and clayey soils. Foliar boron fertilization is preferable over soil fertilization. Iron (Fe) is actively taken up as Fe2+, Fe3+ and as Fe chelate via the root. It is important for chlorophyll formation and the growth process. The mobility of iron in the plant is low. Bicarbonates often inhibit its availability in the soil. Symptoms of iron deficiency are leaf yellowing (chlorosis) and a lack of shoot development. The deficiency is more pronounced on dense clay-rich soils or on chalky sites; however, an oversupply of phosphate or copper can also increase these symptoms. Manganese (Mn) is actively taken up via the root as Mn2+ ion or as Mn chelate and is important for the activation of a range of enzymes. The mobility of manganese in the plant is moderate. There is also an antagonistic interaction between manganese and iron. Excess manganese predominates on acidic soils and waterlogged soils under anaerobic conditions. Fertilization of juvenile and yielding plants is done in one single fertilizer application of a chloride-free / low-chloride, high-potassium multi-nutrient fertilizer in spring. The amount applied is based on nitrogen extraction and is approximately 30kg N/ha for juvenile plants and 40-50kg N/ha for yielding plants. At phosphate deficient locations, targeted fertilization of the subsoil may be carried out.